Emergencies Happen: Are You Prepared? While individual needs and circumstances vary, one thing is for sure: it’s not a question of if, but when an emergency will happen. 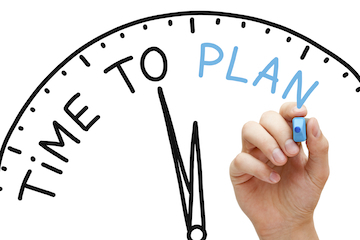 Take steps today to prepare for tomorrow. First Responders: In the event of an emergency, the fire department is usually the first to respond. Do not wait for an emergency to call and let them know if anyone in your home has mobility challenges, medical conditions, or other considerations that are important for first responders to be aware of. If something occurs at your address, their responders will be prepared with the aide and equipment you need. While you’re on the phone, take the opportunity to ask them for information on emergency preparedness and where to go for information on accessible emergency shelters and evacuation plans. Map Your Neighborhood: Do the people in your neighborhood or apartment building know how to respond during the hours or days before fire, medical, police, or utility responders arrive? The Map Your Neighborhood program guides you and your neighbors through simple steps to help enhance your preparedness for an emergency. It’s a great way to get to know your neighbors and make those important connections. Learn more here. Utilities and Other Services: Make a list of utilities and communications services you use. Find and follow them on Twitter or Facebook for updates on outages, delays, and notices. Some have outage apps to download now, for use when you need it. Do the same for city and statewide agencies (such as the Department of Transportation) that can provide updates on road conditions, evacuation locations, and information specific to your area. Emergencies and disasters may force you to evacuate or stay in place at work, at home, or out in the community. 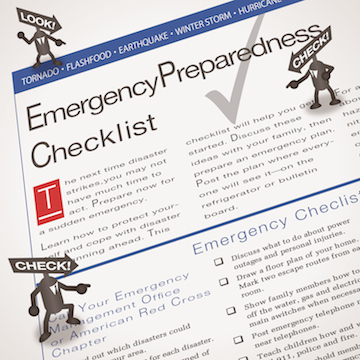 Create a personal emergency response plan that identifies what you will need, how you will communicate, and where to go if you have to evacuate.